Coined by Toyota, there’s a term in the automotive industry called “Poka Yoke,” which basically means establishing a manufacturing process so that it’s essentially error-proof. One way this can be done is by designing a part so it can only be installed in the correct orientation. 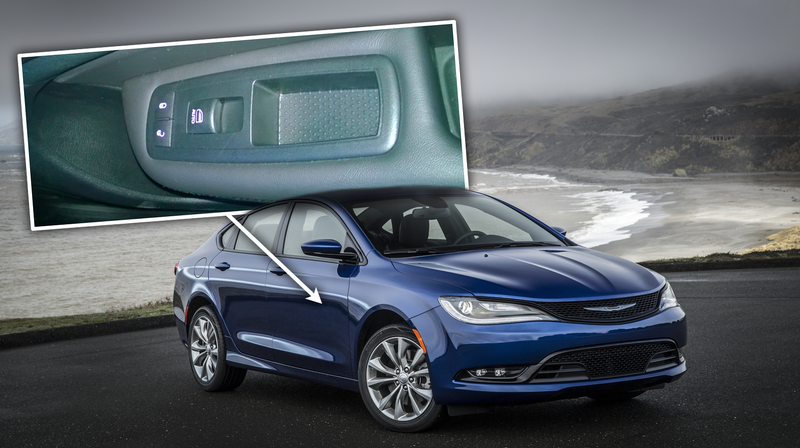 Well, it appears that whoever designed the Chrysler 200's door panel didn’t get that memo. To be fair, whoever designed this part definitely knows all about Poka Yoke; I know this because I wasn’t in manufacturing when I worked at Fiat Chrysler (I was working in the Advanced AeroThermal team for the Jeep Wrangler), and even I knew about it. I guess it’s possible that the dealer did some work to the car prior to selling it, but my friend’s 200 was new, so I’m inclined to think that this was indeed an assembly-related flaw. And I think we can agree that, even if this can be fixed by simply yanking the switch panel up and flipping it 180 degrees, this is pretty sad. Otherwise, the Chrysler 200—may the car gods rest its soul—was actually a decent car. It had a nice, comfortable interior, looked pretty good on the outside, and scored pretty solid highway fuel economy. It was a solid machine, an early casualty of the SUV apocalypse killing sedans left and right. Who knows, maybe when the 200 becomes a classic (since it was only made for a few model years), his “misprint” model will be highly desirable. (This is unlikely).